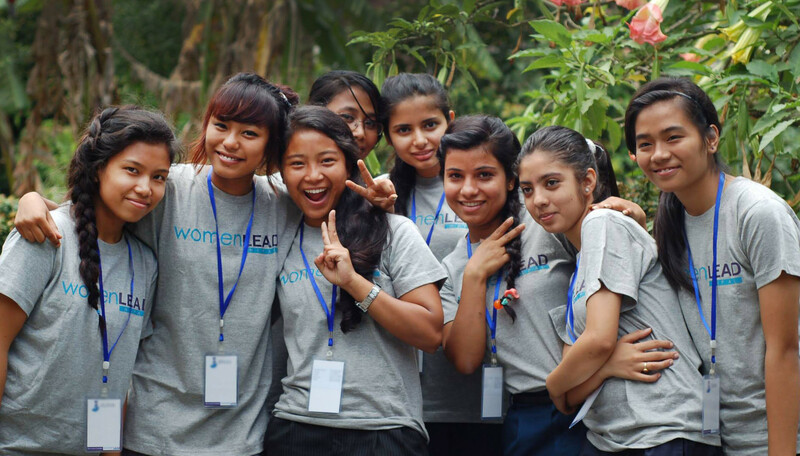 Women LEAD promotes civic and political leadership among young women in Nepal. Across Asia – a vast and politically diverse region – democratic norms and ideals faced intensified pressure in entrenched authoritarian states and established democracies alike. Governments, including electoral democracies, introduced laws and regulations to control civil society and pursued law and order policies at the expense of fundamental human rights. Extremist groups used violence and intimidation to limit free speech and association, and majoritarian nationalist groups grew in strength and number. The authoritarian states increased their efforts to offer a counterbalance to the establishment of democratic norms in the geopolitics of the region. Despite these challengess, the region as a whole remains balanced among authoritarian governments, vibrant democracies, and partially free states. In all but the most authoritarian environments, opposition parties, civil society organizations and independent media continue to push back against the authoritarian resurgence. The Endowment’s Asia program concentrated its resources in five key countries: Pakistan, Burma (Myanmar), Thailand, China (including Tibet and Xinjiang), and North Korea. Not only do these five countries each face daunting domestic challenges, but their democratic prospects also have repercussions for the region as a whole. In addition to these priority countries, the Endowment invested heavily in efforts to strengthen regional cooperation among the seven leading Asian democracies in defense of democratic norms and values. In Pakistan, Endowment funding for human rights and democracy is increasingly important. The combination of shrinking civil society space, ongoing threats from extremist groups, and the retreat of international support for democratic reform is taking its toll. Elsewhere in South Asia, the Endowment expanded its work in Sri Lanka to capitalize on the 2015 elections that ended a decade of increasingly authoritarian rule. The Endowment concentrated on reinforcing democratic values and ideas, promoting respect for human rights and accountability, and empowering citizens to engage in the democratic process. The Endowment also supported modest programs in Nepal and Bangladesh. In Southeast Asia, now one of the least democratic regions in the world, the Endowment expanded its efforts in Thailand, supported robust programs in Burma, and continued to engage in Vietnam, Indonesia, and Malaysia. In the three years since it seized power, Thailand’s military has shown little interest in loosening restrictions on civil and political rights or fast tracking a return to civilian rule. The Endowment’s efforts in Thailand have concentrated on monitoring and reporting on civil and political rights abuses, fostering civil engagement and political participation, and bolstering the capacity of civil society groups that represent a diverse range of citizen voices. Meanwhile, in the Philippines, the Duterte administration represents a sharp break from the Aquino administration and its emphasis on good governance. The Endowment focused its work in the Philippines on bolstering key democratic institutions, expanding understanding and appreciation of democratic values among the public, and fostering continued civic engagement. The Philippine Center for Investigative Journalism used NED support to hold seminars on investigative reporting and campaign spending, which resulted in important, in-depth research and reporting on the 2016 elections. In Burma, democratic development remains in its early stages. Constitutional provisions provide the military with 25 percent of the seats in Parliament, and give it control over other key governmental bodies. Ethnic conflict continues in Shan and Kachin States even as the National League for Democracy government pursues a nationwide peace agreement. Moreover, conditions in Rakhine State – and for the Rohingya in particular – remain alarming and have the potential to ignite violence elsewhere. The Endowment’s Burma partners concentrated on expanding civic engagement, improving governance, and establishing an environment that allows democratic institutions to flourish. The Yangon School of Political Science conducted its “Introduction to Political Science” program, with participants from political parties, civil society organizations, media, and government staff in attendance. Other NED grantees worked to address key structural and economic shortcomings that impede democratic consolidation, and to ameliorate ethnic, religious and political divisions. In China, the Chinese Communist Party waged an ideological campaign to eliminate discussion of constitutionalism, civil society, and liberal democracy from public and academic discourse. The government also blocked news outlets, censored stories, and cracked down on online activities that presented a challenge to the increasingly coercive environment. Moreover, China’s nascent civil society is under ongoing threat: arrests of prominent lawyers and activists continue and the new foreign NGO management law, which took effect on January 1, 2017, will further restrict civil society development . The Endowment responded by working to expand access to independent information, and to strengthen the capacity of civil society organizations to uphold the rule of law and safeguard fundamental human rights. The Endowment also prioritized the protection and promotion of the rights of ethnic minorities and other marginalized communities. The Tibet program concentrated on expanding the free flow of independent and credible information and improving understanding among Chinese – in China and abroad – of Tibet. In 2016, the Endowment honored the late Tenzin Delek Rinpoche with its Democracy Service Medal. Tenzin Delek Rinpoche was a Tibetan Buddhist leader widely known for working to develop social, medical, educational, and religious institutions for Tibetans in eastern Tibet, as an advocate for environmental conservation, and as a mediator between Tibetans and Chinese. He died as a political prisoner in 2015 after languishing for 13 years in prison. In North Korea, Kim Jong Un amassed near absolute authority, but NED grantees forged on. While the global community has focused on Kim’s military posturing, NED partners have worked to highlight the regime’s gross human rights violations and to increase international pressure in support of human rights. NED partners also worked to meet the rising demand for outside news and information inside North Korea, and to improve global understanding of what is happening in the Hermit Kingdom. In 2016, NED grantee Daily NK completed a three-year research project utilizing its in-country networks to provide the international community with detailed information on the development of private markets in North Korea. These informal markets are important drivers of social change and opening in North Korea because they enable North Koreans to access information about the outside world and engage in informal market exchanges outside the control of the regime. Now, Action, and Unity for Human Rights (NAUH), based in Seoul, has made a significant contribution in stimulating South Korean interest in the lives of North Koreans through its successful public re-creations of these markets. NAUH’s first interactive exhibition in downtown Seoul attracted nearly 3,000 people and was covered by two of South Korea’s largest media outlets. By focusing on the stories of average people, NAUH’s events have helped to break down negative stereotypes of defectors in South Korean society and raise awareness of the realities of North Korean daily life.